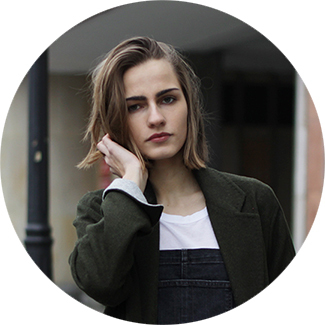 Along with romwe.com we decided to organise a giveaway for you! What is the prize? 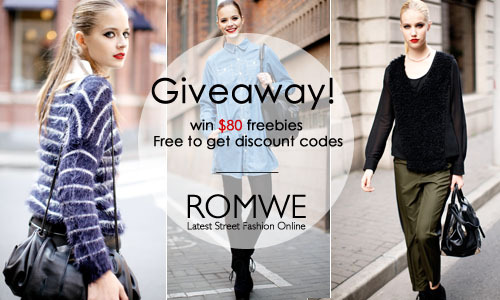 Two lucky winners gets 80$ each to spend in romwe shop online! All you have to do is leave a comment below this post with your email and register on Romwe. The giveaway ends November 6, so you have seven days. Wspólnie ze sklepem romwe.com postanowiliśmy zorganizować dla was giveaway. Nagrodą są dwa bony na 80$ do wykorzystania w owym sklepie online! Konkurs kończy się 6 listopada, więc macie siedem dni. Romwe has such cute items! I registered, thanks for the giveaway! Great giveaway from great people! I would love to win! I love your site !